Wall-mounted, washdown Rimfree WC with 4/2.6 L dual flush. 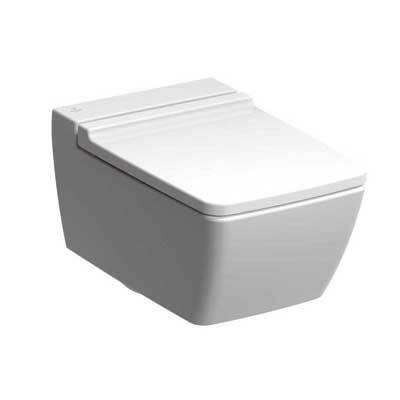 6/ 4 L dual flush concealed cistern. 4/ 2.6 L dual flush cistern. Air button, dual flush, large plate 150 x 230 mm chrome plated. WC seat with soft-close mechanism.